We are very much different from other sauna companies. Our sauna experience since 1974 and the 65,000 saunas we have been involved in (some to 28 countries of the world) shows in the support we give to our customers. You will see why it will pay for you to talk to the "Best Sauna Experts in the Business". Much of our product design and our expertise is based on the sauna-building "bible" of all time, The Art of Sauna Building, which is available on this site. By the way, we not only wrote the book but we practice what we preach! We are serious experts in the sauna business. When you are ready with questions, the Sauna-Guru Team will give you the guidance and the answers you want. The Best Sauna Experts in the business welcome you aboard. Our company founder, Pertti Olavi Jalasjaa, born in Finland and raised in Canada, is a recognized sauna industry founder and highly respected by his peers in Canada and the U.S.A. His companies, including Home Saunas Since 1974 , have been manufacturing and selling high-quality saunas to sauna enthusiasts around the world. At last count, over 65,000 saunas have been shipped and our products can be found in 28 countries in the world, including Finland - of all places! This is why we show the flags on the top of our web pages. It's part of who we are and how we are connected to the rest of the world by a common recognition of the benefits that saunas bring us. Pertti Olavi Jalasjaa (Bert) is the author of the best-seller book, "The Art of Sauna Building", now an acclaimed best-seller used by an estimated 60,000 sauna builders. He is passionate about the health benefits of the Finnish sauna and its importance as we need to counter the toxic substances we constantly ingest. As the "Sauna-Guru", (Bert) is on a personal quest to counteract the bad data on the internet by using his vast sauna knowledge to tell the truth about saunas in general and especially the Finnish sauna. He has been a prolific writer of sauna articles and sauna stories. He expects to write hundreds more for the internet in the next few years. Although he is an avid tennis player and active musician, he still spends considerable time working with his associates and advising many of our customers. You can also read more of Pertti's topics at Pertti's Sauna Blog soon to be online. Just a thought, Pertti's book makes a great gift for someone who needs to move on with their sauna project. 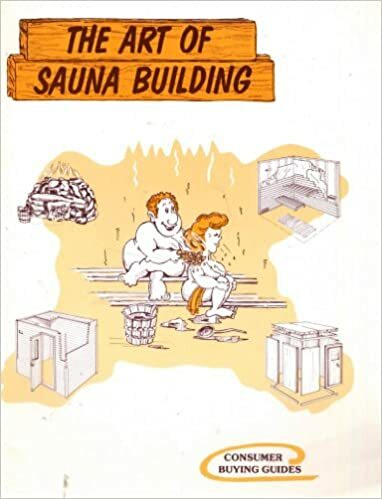 The book, "The Art of Sauna Building" is available on this site. Pertti started his sauna business in 1974 as Savu Sauna Products. Four years later, he added a division for the sale of cedar lumber and fine quality grades of tongue-and-groove for lining walls. His division, called "House of Cedar", grew into a huge success in southern Ontario as House of Cedar was the only supplier of cedar products in 5 grades of quality. Two years later, a Spa and Hot Tub Division was added as so many of our sauna customers were also adding spas and hot tubs to their homes. By 1986, the company had moved into a spacious 40,000 square foot facility in Waterloo, Ontario, For the first time, there was adequate space for woodworking shops, warehousing as well as a 6,000 square foot retail store. A separate self-contained area was available for customers to use the operational hot tub and sauna on site with their entire family. Needless to say, many new and happy customers became the proof of the effectiveness of Pertti's marketing. By 1995, Pertti had designed many models of hot tub gazebos (made of cedar) that required a separate manufacturing space. A pilot plant was setup in Kitchener, Ontario to test out the manufacturing process. The pilot plant was moved to an 80,000 square foot facility in Perth, Ontario. Called "Cedar 1 Inc", the new company grew as a parts maker for House of Cedar, a parts maker for Savu Sauna Products and as a gazebo maker to employ over 48 workers. In 2002, Pertti started shipping containers of his infrared saunas to Europe as the market wanted saunas made from Canadian cedar. His saunas were selling well on the internet. By 2004, Pertti was spending too much of his time on everything but saunas. He wanted to focus solely on the love of his life - the saunas. So he re-focused the marketing of saunas through his company, Home Saunas Since 1974. So today, your decision is whether you buy a sauna from Pertti and his associates or some unknown company who will enjoy the money you spend there and give you unknown results. when he started shipping saunas to customers in Europe in 2002. From humble beginnings in 1974, his products are now in 28 countries in the world.